Second Chances — Based on a true story, this is the uplifting tale of a little girl's physical and emotional reawakening after a car crash claims her father -- and her spirit. The accident leaves 10-year-old Sunny Mathews (Kelsey Mulrooney) unable to walk without crutches and emotionally wounded, causing her to withdraw from life. 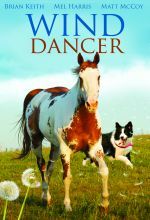 Miraculously, things begin to change when she and her mother move next door to a horse ranch where she develops an affinity for Ben, and a love for a mean-spirited, crippled horse named Ginger. 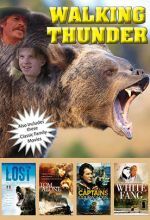 Also stars Stuart Whitman, Theodore Bikel and Terry Moore, plus Charles Shaughnessy and Madelina Zima. Natalie's Rose — Fifteen-year-old Natalie Canton's world is turned upside down when her mother loses her battle with cancer on Valentine's Day. A fragile white rose becomes Natalie's only tangible link between the mother she lost and the hope she desperately needs to find. 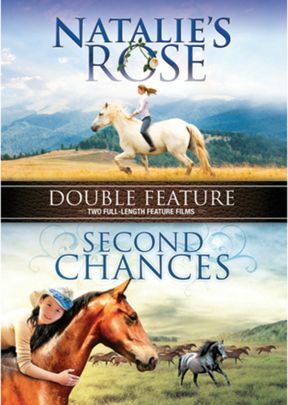 When Natalie's father sends her to Nevada for Christmas to visit her aunt's ranch, Natalie's rose slips out of her coat pocket, undetected, and falls into the riding corral. The next day, a pure white horse, presumably a stray, stands where the white rose fell. With each passing day as she rides and cares for the horse, Natalie learns to accept death as a season of life. Natalie's Rose is a simple, metaphorical story of comfort and assurance for all of us who struggle with death, and discover the truth - love never dies.